Whatever Happened to Zack Snyder’s Man of Steel? Man of Steel. Directed by Zack Snyder, from a script by David Goyer. * I’m not one of those people who thinks they own Superman. He’s an idea created by Jerry Siegel and Joe Shuster and stolen by DC Comics. I don’t have any right to him, and neither do any of the many fans of the comic books, movies and live action/animated series featuring the character. It’s hard not to feel like he belongs to us. Superman’s an iconic character that’s been portrayed in thousands of stories by dozens of creators, so it’s understandable that we all have specific ideas about the character that sometimes make adaptations difficult. Superman is an American/global symbol of justice; a populist strongman; a defender of the establishment; the ultimate immigrant who is a symbol of assimilation and/or cultural pluralism. He’s a science fiction hero and a mystery man. His brand of heroism encompasses the firefighter and law enforcement models of heroism. Some people like him best when he inspires others to do good, while others enjoy the more cosmic dream logic filled stories that emphasize his near-infinite power. It’s hard to do a Superman movie that pleases everyone, especially in an environment in which most superhero movies fit a predictable origin/existential crisis/reboot cycle. We want a movie that blends the accessibility of Superman For All Seasons with the imagination of All-Star Superman and the iconic quality of Birthright. We ask ourselves why a film can’t capture the magic of the original while forgetting that it was a charming but imperfect film. I knew it wouldn’t be great, but hoped that it would be good. I was wrong. Zack Snyder’s Man of Steel combines some of the traditional elements of the Superman narrative with newer ideas (including some uncredited ones from Grant Morrison and Mark Waid) to create a unique version of the Superman story. 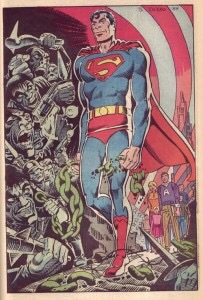 The core of the story focuses on how Clark Kent becomes Superman. I wish that directors of superhero movies were less interested in telling stories about why and how people become heroes and more in stories about how people manage the burden of heroism, but here we are. That said, if one’s going to tell a story about Superman’s beginnings, it might as well be one about why he chose to don the tights. In most versions of the origin, it feels like Clark was just fated to become Superman. He discovers his powers and dons the costume. One follows naturally from the other. Man of Steel explores this decision more than earlier adaptations. He struggles between heeding the wishes of his stepfather and fulfilling the dreams of his birth father until Zod draws him out of hiding. 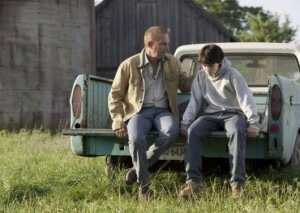 I would’ve preferred for his decision to be a bit more internally driven, but Snyder’s approach was interesting – instead of a traditional first act focused on Clark’s childhood (as in the original Donner film from the ’70’s), we get scenes from his nomadic present interspersed with flashbacks from his childhood. Man of Steel is concerned about the implications of being extraordinary in an ordinary world. It asks if humans can accept difference (a familiar question to fans of X-Men books/movies), particularly when the ‘other’ is special or gifted. We mostly see this expressed through the fears of Jon Kent, who is deeply concerned about how humanity will react when they discover that his son is an immensely powerful alien who looks human. Unfortunately, the film’s concern never quite blossoms into a desire to grapple with the issue. We see some truth behind Jon Kent’s fears in the moments between Zod’s ultimatum and Superman’s surrender and the mistrustful soldiers, but it would’ve been interesting to see more. Snyder is also interested in telling a story about a man torn between two superficially dissimilar dads who represent the two sides of fatherhood – fear and hope. Jor-El sees Kal-El’s amazing potential and dreams that he can redeem Krypton’s legacy and help mankind achieve greatness. Jonathan is afraid of the future, what happens after he lets Clark go. The two may not be biologically related, but Jonathan recognizes himself in his son. Both are men who are willing to sacrifice themselves for others. As in Christopher Nolan’s Batman trilogy, the performances in Man of Steel add life and depth to the film. Kevin Costner and Diane Lane are particularly great as Superman’s surrogate family. The two play the Kents as modern adoptive parents anxious about the durability of their relationship with their son. There’s something amazing about the moment when Lane helps young Clark figure out how to block out the sound of the world and heartbreaking about the look on her face when a grown Clark tells her that he found his ‘real family’. Michael Shannon’s General Zod is a portrait of a man straining against his genetically defined role. On Krypton, everyone was bred for a particular role – Jor-El was a scientist and Zod was a warrior trained to protect Krypton. It’s interesting to see how Zod’s need to protect Krypton both complements and conflicts with his desire for power. Like Julius Caesar, he thinks that the existing order has failed and seeks to erect a benevolent dictatorship. He just wants to help. Really he does. Shannon does an amazing job of depicting a character struggling to conceal his madness beneath a seemingly rational surface. Even when he was pretending to be reasonable in his first meeting with Superman, Shannon looked like he was disgusted by his very existence. By the end, once his hope for a resurrected Krypton is dashed, the mask has completely slipped and he was just another megalomaniacal madman. Henry Cavill and Amy Adams are well cast. Even though they don’t have the opportunity to show the kind of chemistry that we might expect from Lois/Superman, they have a nice rapport and are very good in their individual scenes. It’s a shame that Snyder didn’t spend more time on the relationship between Clark and Lois. I’ve always thought that romantic relationships (expressed as screwball romantic comedy or overwrought melodrama) played as much of a role in the success of the film/tv adaptations as the action sequences, and Man of Steel suffered for its absence. Adams has the easier job of the two. She gets to play a Lois Lane who is a steely, capable blend of cynicism and idealism. Adams helps ensure that Lois is hard bitten without slipping into caricature or cliche. Cavill’s job is tougher. Despite all of the flashbacks, we don’t get too far inside the mind of Superman, and Clark Kent is a bit of a cipher. I wanted a deeper exploration of the tension between his Kryptonian heritage and human upbringing. Superman may have been willing to sacrifice Krypton’s potential future for humanity’s present, but the audience gets the sense that he still views himself as an outsider, in spite of his 33 years on Earth. It’s interesting that Superman, a man who spent his entire life as an American citizen tells Lois that the famous crest was ‘not an ‘S”, even though he had to know how it would appear to a fellow American. On a similar note, I’d also be interested in knowing more about whether he was comfortable with living life as a nomad or whether he craved some kind of deeper human companionship. Clark’s lack of friendships or relationships with any human beings other than his parents also lowered the emotional stakes of the story, which made the fight sequences that dominated the second half of the movie feel weightless. The audience didn’t have an opportunity to develop a strong relationship with the Perry White, Jenny Olsen or Steve Lombard characters, so it was hard to care about their struggles in a non-abstract way. It was an interesting reminder that Superman’s secret identity helps ground the narrative in some recognizable reality – it gives the audience a sense of what he’s trying to protect and preserve. 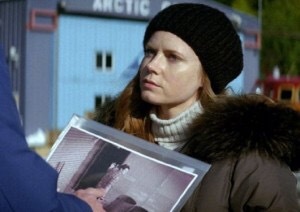 I’m sure that we’ll get more insight into Superman in the inevitable sequels, but I don’t think I cared about any scene with Cavill as much as I did about the sequence during which Lois discovered that the mystery man saving innocents was Clark Kent. I’m not bothered by the fact that my preferences aren’t perfectly aligned with Snyder’s vision. He wanted to tell an origin story, while I couldn’t care less. He wanted to lay the groundwork for a potential romance between Lois and Clark, but I wanted the kind of frisson that we got in the first two Richard Donner films. I wanted a Superman movie that balanced a grounded narrative with exciting action scenes and flashes of humor. Snyder was more interested in a darker story without humor and lots of hitting and property damage. I care about supporting casts more than he does. We share an interest in making Krypton a core element of his story and care about making Martha Kent and Lois Lane interesting characters. We want Lois to know Superman’s secret identity, and what’s more, we want her to figure it out for herself. He’s interested in stories about Superman as a brooding demigod who has pledged to protect a humanity that holds him in awe. I like the ones about the genial well balanced guy who likes saving people. The one that smiles. Neither of us are wrong. I can respect the ideas, but find it harder to forgive the shoddy execution. Snyder doesn’t have the faith in his audience that he wants Superman and humanity to have in one another. He can’t stop reminding us about Jor-El and Kent’s different approaches to parenting, drawing parallels between Smallville and a Norman Rockwell painting or underlining the Superman as Christ metaphor (I think that Cavill did a crucifixion pose every time he was knocked down). Snyder thinks that if something’s worth saying, it’s worth saying multiple times at increasing volume. I don’t mind the lack of subtlety, but the repetitiveness is grating. The other problem is that a number of the choices made by Snyder, editor and cinematographer are unnecessarily distracting. Snyder does the shaky camera bit that’s intended to evoke realism but only pulls me out of the story. The moments when the camera lags behind the action were needlessly confusing. The action scenes were similarly problematic. I appreciated the hard work that went into staging a plausible battle scene between combatants with super strength, speed and flight, but I couldn’t disregard some of the basic storytelling issues and unexplained tonal shifts. The movie was extremely concerned about human life in the first half – it was at the core of the dispute between Superman and Jon Kent and the reason for all of Superman’s heroics – but lost interest in the second half, when Superman fought Zod and his soldiers without a thought about the safety of innocent bystanders. Viewers familiar with watching or reading Superman fights could be forgiven for expecting Superman to try to draw the fight away from populated areas, but that wasn’t the case. All of the big fight sequences took place in the middle of Metropolis or the center of Smallville, causing extensive property damage and resulting in countless deaths. Buzzfeed commissioned a study focusing on the financial impact of the battle between Superman and Zod’s soldiers. These studies are always a cute exercise, but it’s more jarring to read that the conflict depicted in Man of Steel would have resulted in hundreds of millions of dollars in property damage and over a hundred thousand deaths than it is in similar action or disaster movies. A lot of superhero movies disregard collateral damage, but after an hour of watching Superman surreptitiously save lives, it was jarring to watch him casually toss Kryptonian soldiers through buildings without thinking about the civilians who might be present. For a delightfully entertaining take on the carnage in the Man of Steel, check out Kyle Baker’s Mass Murderer of Steel flash video game. I think that’s why I wasn’t morally outraged (to the extent that I would have felt any moral outrage) by Superman’s decision to kill Zod. After all of the bloodless carnage of the preceding forty five minutes, Snyder’s decision to actually show us a death felt like a rare moment of honesty. Unfortunately, this was followed by an epilogue in which Metropolis was magically restored to its former glory without having to undergo any of the challenges of reconstruction (I would’ve been satisfied by a background shot of emergency workers clearing rubble or something). On a more practical level, I was never exactly clear about how Zod and his soldiers got so strong so quickly or how a guy who’d never been in a fight held his own against trained soldiers. Snyder devotes more time than one might expect to the logistics of Superman’s powers – we get a full explanation of why Superman has his powers (the younger yellow sun, superior genetics, Earth’s rich atmosphere) and a scene indicating that he needed to learn how to control his powers – so it’s hard to completely ignore the fact that Zod and his minions haven’t spent enough time in our solar system (or on the Earth) to gain enough power to rival Superman. I assume that Superman appears evenly matched with the Kryptonians he fights because his lack of experience offsets their lack of power, but that wasn’t clearly expressed in the scenes. For the most part, everyone seemed pretty evenly matched. I could imagine a number of counterarguments. I always thought Superman’s aversion to killing was inextricably linked to two things – his fundamental decency and his deep understanding of the responsibility that comes from his immense power. He doesn’t kill because most decent people don’t kill unless it’s necessary, and his immense power gives him the capacity to find alternative ways of resolving conflict. There are more complicated responses that could focus on how Superman’s powers make him more deeply aware of the sanctity of all life (see Leinil Yu and Mark Waid’s Birthright or Frank Quitely and Grant Morrison’s All-Star Superman). But Snyder’s entitled to his take. The problem isn’t with the idea, but with the execution (see a pattern emerging?). The scene – Zod is about to kill some humans and the only way that Superman can stop him is by killing him – should have been raw and painful. Instead, it felt almost as trite and artificially staged as an ethical dilemma from an Intro to Philosophy class. It’s unclear why Zod chose that moment to focus on killing the humans instead of fighting his enemy, or why Superman couldn’t simply choke him into unconsciousness (isn’t that easier than snapping someone’s neck? I’d love to know the answer to this question). I don’t know why he would goad someone who was essentially a stranger (both he and the audience knew nothing about Superman’s ethical code) into killing him. Was this suicide by Superman? And don’t get me started on the family that took refuge from what must have been hours of carnage in what looks like Metropolis’ version of the main concourse at New York’s Grand Central Station. Why, after all the death and destruction, it was the potential deaths of this family that pushed Superman to his breaking point? Is Superman anguished by the deaths that come from explosions or building collapses caused by his fights with fellow Kryptonians? It’s a mystery. I’m also unsure of why Snyder chose to foreshadow the climax in by having Zod exclaim that the only way that Superman could end this battle is by killing him. All of that would be forgivable if Snyder didn’t undermine whatever power the scene had (Superman’s scream of anguish after he killed Zod was moving) with his epilogue. I don’t know how anyone could watch the aftermath (in which he sets boundaries with the military and decides to become the familiar Clark Kent with the glasses) and conclude that Superman had developed some aversion to killing in the future. Sure, he had a negative response immediately after the killing, but the audience never gets a sense that the decision will haunt him. 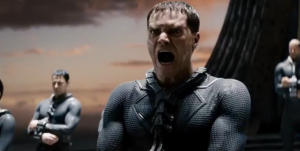 The absence of any bittersweet quality to the epilogue completely undermined the message that Snyder intended to send with Zod’s death. I’m not a strict constructionist about Superman. I believe that someone can tell almost any story about Superman, even one in which he breaks his personal rule against killing.I like almost all the different versions of Superman. I read my first Superman comics in the mid 1980’s. The Bronze Age, which featured wildly imaginative stories about a god-like Superman, was coming to an end, only to be replaced by a less powerful and more grounded version of the hero introduced by Marv Wolfman and John Byrne. I love the demigod from classic Elliot S. Maggin and Alan Moore stories and the ordinary man with extraordinary gifts from the late ’80’s and early ’90’s. 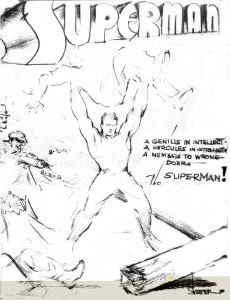 My favorite issue of a Superman book is still 1984’s Superman #400, in which a murderer’s row of creators told Superman stories (and drew pin-ups) from a wide range of different perspectives. 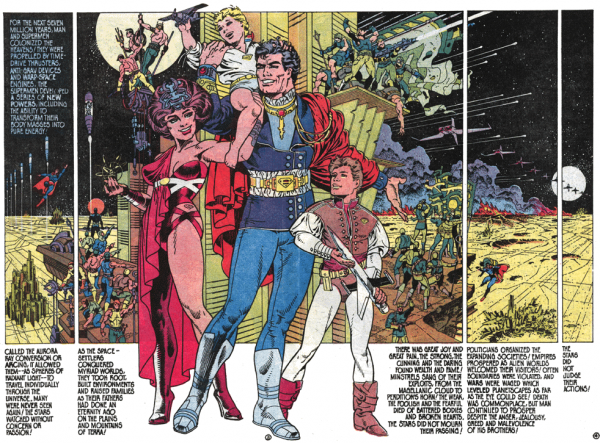 They were all ‘real’ versions of Superman, from Moebius’ slender explorer to Steranko’s sci-fi/space opera hero. I like them all. I wanted Man of Steel to work. It could have been a great movie. I would’ve been satisfied if it was merely a good movie. What I saw was a film with a handful of interesting ideas ruined by poor execution. I think I finally found a version of Superman that I don’t like. *Many thanks to David Brothers and Chris Eckert for taking a look at earlier drafts.